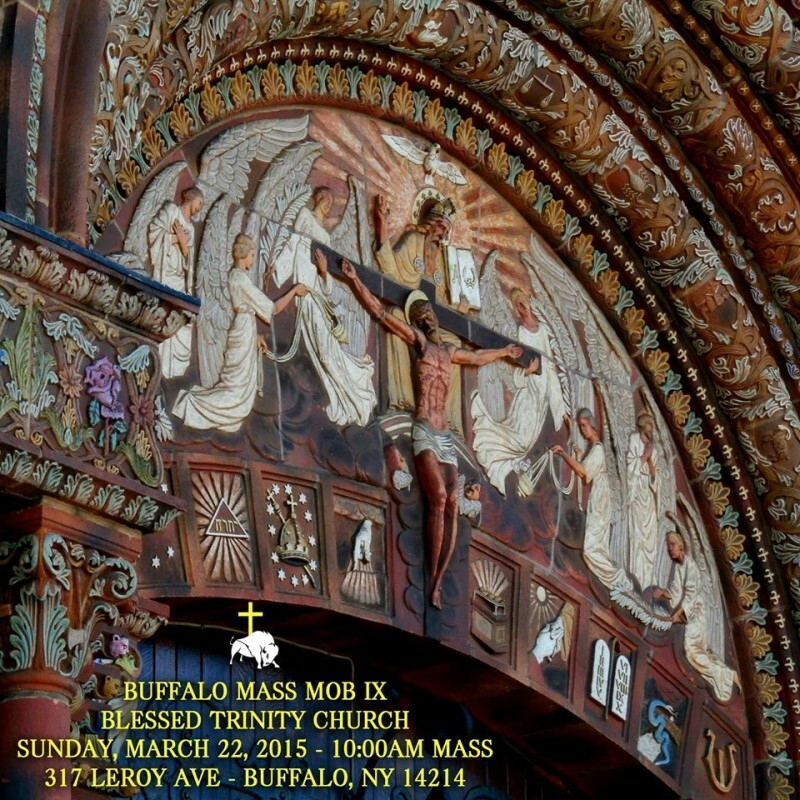 Buffalo Mass Mob IX has attracted both local and national media attention to Blessed Trinity. A team from the PBS (Public Broadcasting Service) in Washington, DC will be traveling to Buffalo on March 22nd. Noelle Cwiklinski Serper, Producer of the network’s Religion & Ethics NewsWeekly, and Kim Lawton, the show’s correspondent, will be bringing their crew to Blessed Trinity to film our Sunday Mass. They also plan to interview Mass Mob organizers and a few of those in attendance for a possible feature on their weekly show, broadcast locally by WNED-TV on Sundays at 12:30 p.m. In addition, Bob Karaszewski and a TV crew from our diocesan Day Break TV Productions will also be filming the Mass.